20 groups from the tri-state area channeled their inner super heroes, launching pumpkins across the field at the South Jersey Technology Park at targets based on Marvel and DC Comics. 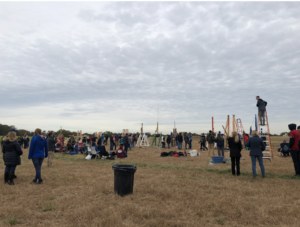 Rowan’s Chapter of American Society of Mechanical Engineers (ASME) hosted their 16th annual Pumpkin Chunkin’ on Friday, Oct. 26. ASME is a student-run group with members of every major, but mostly mechanical engineering. 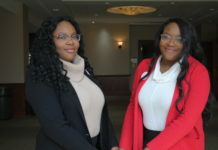 20 groups participated in this competition, but only three could rise to victory. Among the participants were a group of students from Glassboro high school, a group from Millville high school and Rowans’ own ASME team. Groups competed to win prizes including 3D printers and trophies. Aside form catapults, there were costume and pumpkin craving competitions as well as bowling and a hula-hoop toss. This event was a great way to get students involved with STEM and for spectators to enjoy the oddities. Millville High School senior Theodore Sherman talked about the new model the team created for this event. It was based off of a design their school’s engineering class came up with for their own in-class competition. Alongside their newest model were machines they used in this same event in previous years. 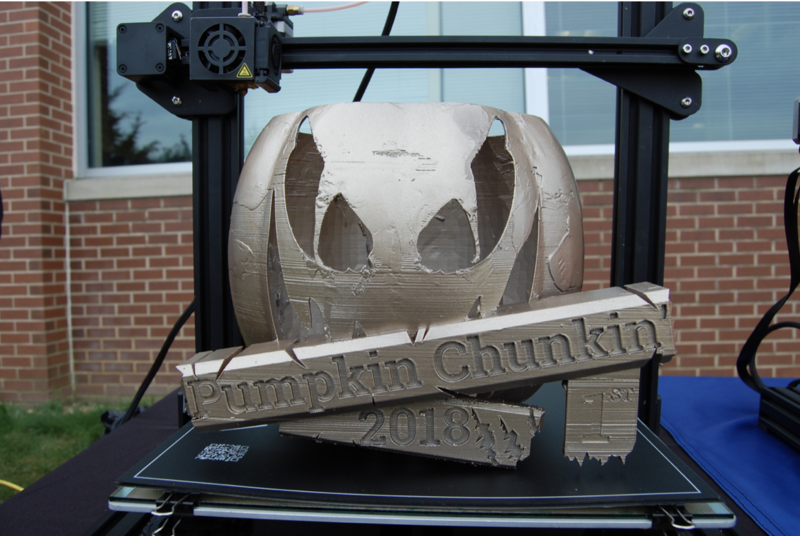 Glassboro High School students Seyda Emanet, Dominick Profico and Athena Le took a break to carve a pumpkin while waiting their turn to launch. Emanet explained that the club starts designing and building their catapult in the beginning of the year. They enjoy the event because it’s a good way to learn about engineering. Although they aren’t exactly planning on becoming engineers, they still enjoy participating. 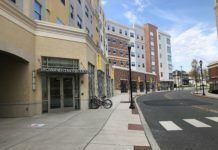 This event grew tremendously over the years, causing the change of location. The South Jersey Technology Park allowed this event to be held in their field the last three years. This event used to be held outside of Rowan Green. 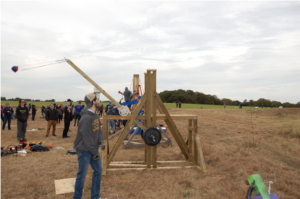 Pumpkin Chunkin’ has become a major event for ASME and created a huge platform for people to see how fun it can be. At the end of the event, the winners were announced. 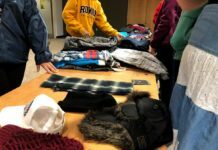 First prize was given to the group “Legends of Tomorrow ” from Verona High School and Millville High School placed second. An independent team won third. Each winner was awarded with 3D printers and trophies.